Our home is comfortable, clean and spacious. It comprises four bedrooms (two with queen beds, one double and one single). All bedrooms have built ins and are carpeted. The queen and double bedrooms have reverse cycle airconditioning to keep you cool in summer and warm in winter. There is an office off the main bedroom along with a walk in robe and ensuite. The ensuite has a two person spa which is great for relaxing at the end of the day. There is a wireless broadband connection to the internet and there are phone and television outlets in every room. The lounge room has a stereo system, tv, video and dvd and there is a tv, video and sony PS2 in the family room. The open plan kitchen is spacious with a bar that seats seven. There is a large undercover entertaining area which comes complete with a four burner gas barbeque and tables and chairs. 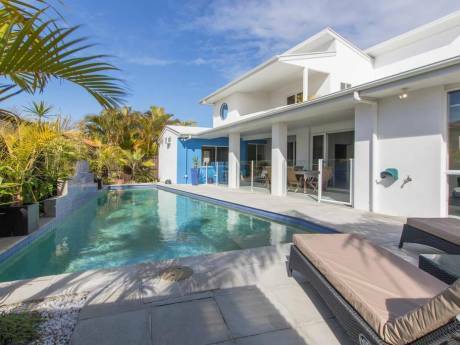 The house is situtated on a large 1200m/s block in a newer estate at the end of a culdesac. 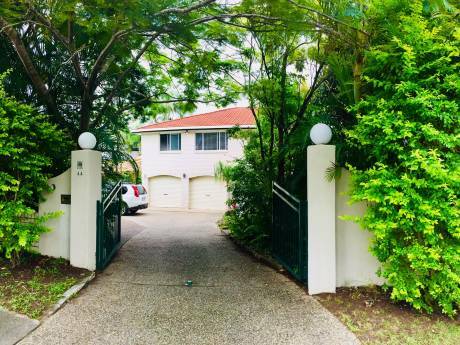 It is less than 8 minutes drive to the centre of town and only 10 minutes drive to the beautiful beaches at Bargara. 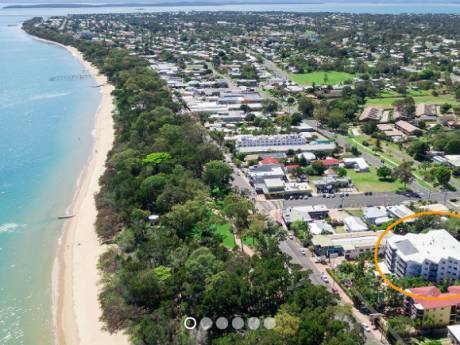 In addition, my parents also have a 3 bed unit at the Sunshine Coast (3 hours drive south) on the Maroochy River which can be made available for a visit to this region. My name is Penelope and I am a secondary school teacher who has gone back to university to study law. I will be completing my degree at the University of Nottingham as part of a university exchange program from September 2006-July 2007. My husband, Darin, is a secondary school head of department - he will be working in Nottingham for the 10 months or so that I am there on exchange. We have two lovely daughters, aged 13 and 14 who will also be joining us for our overseas adventure. We are excited about spending some time in the UK and would love to exchange homes with a couple or family from the Nottingham area. We have not done a home exchange before but are keen to try what sounds like the perfect way to experience a new city whilst you experience ours. We would expect to arrange an exchange some way in advance in order to get to know our fellow exchangers via email first to see how best we can facilitate their stay in Australia. We have not previously travelled to the UK although we have been to New Zealand and several states in Australia. We also spent three years living and working in a remote indigenous community on Cape York Peninsula. Bundaberg is situated at the southern end of the Great Barrier Reef Marine Park. Four hours north of Brisbane, Queensland's capital city, it is renowned for having one of the best climates in Australia. The City of Bundaberg is a modern provincial capital, boasting beautiful heritage buildings proudly mixed with modern, dynamic architecture, and offering a wide range of attractions, accommodation and dining options. Tour a local icon - the Bundaberg Rum Distillery - or simply use the City as your base to explore our great region. Over 140kms of unspoilt coastline stretches from Woodgate Beach in the south up to the Town of 1770. Discover clean stinger-free beaches, oceanfront accommodation and cosmopolitan cafes, or 4x4 in one of eight coastal national parks or just sit back, relax and enjoy a spot of fishing - all without the crowds! Turtles nest and hatch during the summer months and are a highlight of visiting Mon Repos - just near Bargara on the magnificent Coral Coast. Jump in the car and explore the backroads and peaceful scenery of our beautiful countryside. A sea of green sugarcane entices you to explore our history, nature and unexpected hidden gems. Head west and discover our rural hinterland with spectacular mountains, rugged peaks, historic country towns and wide open spaces. Check out http://www.bundabergholidays.info/bundaberg_home.cfm for more information on what our beautiful region has to offer.